It’s been a year since I wrote my post on Capital women novelists, the third in my series on Canberra’s writers. (The other two were Capital women and Capital men poets.) Today I am finally getting to the male novelists. I’ll start in a round-about way with a local controversy. Last year, the ACT government changed the eligibility requirements for its ACT Book of the Year awards, narrowing location to ACT residents only. As the City News reported at the time, this contradicted “the principle enunciated in artsACT’s arts policy framework of ’embracing Canberra’s position as a regional centre and fostering opportunities for increased engagement with regional communities’” and it reversed the previous practice of allowing nominations from writers in the region. Fortunately, after serious lobbying from arts practitioners and supporters in the ACT, the government agreed that “regional NSW residents with an ACT based arts practice” could apply. I’ve told you all this not only because it shows that lobbying can succeed, but to justify my including regional writers in my ACT-based series! As will other posts in this series, I am just going to share a few current novelists – in alphabetical order. Croome, like many writers, is (or has been) somewhat peripatetic but is currently based in Canberra and has been for a couple of years at least. 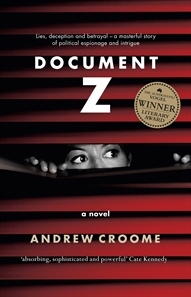 His first novel, Document Z (my review), which was published in 2008, deals with one of Canberra’s most famous stories, the Petrov spy scandal. It won the The Australian/Vogel Literary Award and the New Writing award in the NSW Premier’s Literary Awards, and was shortlisted for others. I thoroughly enjoyed it, both for the perspective he presented and for his evocation of 1950s Canberra. His second novel, Midnight Empire, which I’ve also reviewed, was not set here though its main character had come from Canberra. It will be interesting to see where he goes next. Like many writers based here, indeed like many people of a certain age who live here, Clanchy came from elsewhere. I discovered in the ACT Writers Showcase that he moved to Canberra in 1975, the same year I did. He is still based here, as far as I know. In my recent review of his latest book, Six, I indicated that I was sorry I hadn’t read Clanchy before this. He has published 10 works of fiction, some of which are short story collections and two of which are crime thrillers co-written with another Canberra writer, Mark Henshaw. He apparently taught writing at the Australian National University, and in addition to fiction has co-written non-fiction books on academic writing, research and related topics. A versatile writer. This far view was unmistakably Australian, the bunched crowns of eucalyptus gleaming blue on the ridge-tops, deep green plumwood trees and sassafras holding to their lower creases. In the valley, the farm’s paddocks showed their patchwork of varying greens, some farm sheds and, higher than the others, an old two-storey building, a brick mill which Mitchell had painstakingly restored. At the valley bottom, the enormous dam, and beyond it, short reaches of the creek gleamed between stands of dusky she-oaks. 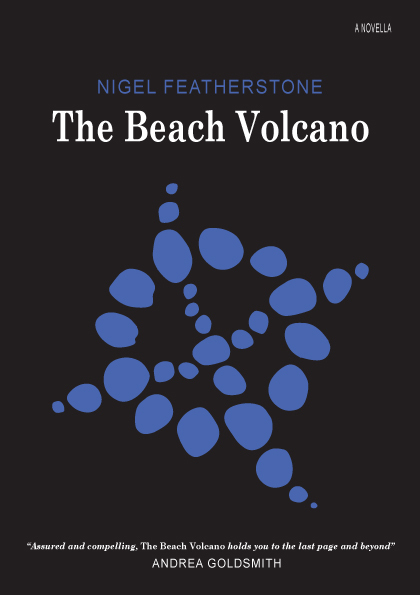 Nigel Featherstone is the local writer who has featured most in my blog, through my reviews of his novellas, a guest post, and an interview. Featherstone was born in Sydney, has lived in Canberra, and currently lives in Goulburn, an hour’s drive away. He has published a novel, novellas, short stories and is a freelance writer for the Canberra Times. He is also the founder of the online literary journal, VerityLa. He is active in the ACT (and wider Australian) arts community, being committed to the idea that a strong arts community is critical to the health of our society. He walks the talk – and I look forward to seeing what he comes up with next. Alan Gould, author of The lakewoman which I reviewed, is yet another under-recognised Australian writer. English-born he came to Canberra in 1966. He is a poet and novelist – and I did mention him in my Capital Male Poets post, so will move on to others whom I haven’t mentioned before. Henshaw is the writer least known to me, though I do have his latest, Snow kimono, on my TBR, and I did attend its launch. He lives in Canberra and worked until recently at the National Gallery of Australia. He made a big splash with his first novel, Out of the Line of Fire, which, Susan Wyndham, literary editor of the Sydney Morning Herald, wrote “bedazzled critics with its post-modern playfulness, philosophical intelligence and European sophistication”. It was shortlisted for the Miles Franklin and Age Book of the Year awards. It was also, she says, “translated into several languages, and became one of the best-selling Australian literary novels of the decade”. Between it and Snow kimono which came twenty-six years later, he co-wrote two crime thrillers with the aforementioned John Clanchy. I am greatly looking forward to reading Snow kimono which, he told us at the launch, he wrote without ever visiting Japan. A brave and clearly interesting man! Loose soil and road ruts baked in the sun were the material of his playground then, soil blunting his hearing as he wiggled a finger in his ear imitating the way men did, at the same time as holding their pipes. The grainy feeling of Limestone Hills dirt, the taste of it spat from his tongue, clinging to damper cooked in the ashes, dirt stuck to a boiled lolly taken from a paperbag, was the medium Colts was born into, as far as he could tell. A fly got stuck in his ear, sizzling deeper. That was the feeling too. He’d never get over it, or past it either. The hum of the dry bush, crickets, Christmas beetles, cicadas. It is always good to read about places you know as you can easily acquaint yourself in to the story. I haven’t read John Clanchy, but I have read Mark Henshaw, whose writing style and story telling is excellent. The Snow Queen is a fascinating read. I am always intrigued how two authors co-write a book. I always try to read The Australian/Vogel Prize winners because many of them have gone onto be successful authors. I do like Croome’s writing and have read both his two novels. Hopefully there will be a new book soon. Thanks Meg … I’m looking forward to Henshaw, so it’s good to hear that you like his writing. I didn’t really focus on the issue of setting in this post, but I did notice that some of the writers have based some of their books in the region while others haven’t at all. As you say, there’s something enjoyable about reading about a place you know, just as we also enjoy the complete opposite and being taken to an entirely different world. A very impressive literary “region” you live in! I can understand the motivation to limit the award to residents of Canberra but then wouldn’t that mean the same people would win over and over? And what’s the point of that? The compromise is still limiting but seems more inclusive. Thanks Stefanie … Canberra is a small city, and a goodly portion of people who use it for shopping, entertainment and work, live in the surrounding region. And of course for writers this surrounding region can be cheaper (we know what writers’ incomes can be!) and it can also offer the peace (and beauty) that writers often need. Thanks, Sue for giving an overview of clever Canberra authors that I am yet to discover. I love the sound of Roger McDonald’s excerpt you included. So evocative of the country. Quite Cormac McCarthy. That’s an interesting comparison Alex. I can see what you mean, though I hadn’t thought of it.